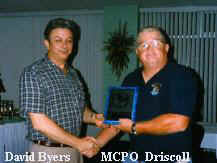 Dow Byers YNCS(SEAL)(SS); Memorial, SEAL, UDT, Diver, by Erasmo Riojas "Doc Rio"
In 1990, after we attended Rudy Boesch's retirement ceremony, and a tour of Disney World, Lourdes, Mandy (grandaughter) and I visited the Byers in Brooksville FL. Dow looked great, seemed very very happy and was spending much of his time painting, and tending to his horses at his ranch. We talked about old times at UWSS, and at Little Creek. Dow was retired from US Navy, and also from Old Dominion University where he was the Chief of the Security Department. He employed several retired SEALs and had a successful second career there. John Francis Rabbitt, Dow's very best friend, went to Dow's funeral along with their friend a BMC that worked with them at the Old Dominion University. We did not get to see his remains because Byers was cremated. 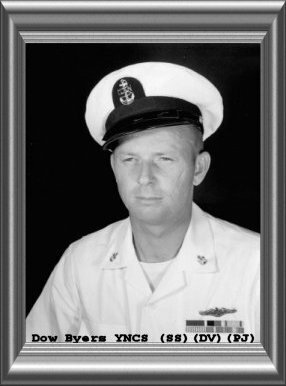 I understand his son David took his ashes and scattered them in the Gulf of Mexico. 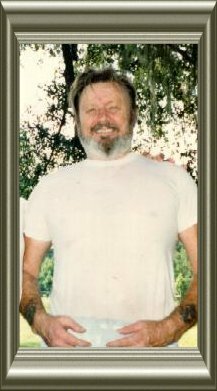 He was living with Annise (wife), Terry(daughter), David (his son), and Bevin Richards (his grandaughter) in Brooksville, FL. when he met his untimely demise. Becky Byers-Menendez, CDR Jack Menendez, Velika, and Jamie. CPO (Ret) his friend from Old Dominion came with Johnny Rabbitt, sorry, his name escapes my memory.